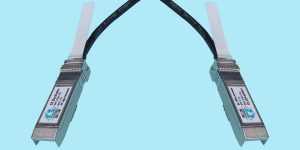 ● SFP+ Supports 10-Gigabit Ethernet and 10-Gigabit Infiniband standards. ● SFP+ Also supports 1, 2, 4, 8 and 10 Gb/s Fibre Channel applications. ● SFP+ Zinc die-cast connectors reduce power and lower your per port cost compared to optical. ● SFP+ Conforms to the SFF-8431 specifications. Compliant to the SFP+ MSA (Multi-Source Agreement).